As the Snow and Ice CAL comes to an end, we thought we would share some of the wonderful progress pictures you posted on the Facebook page. You can keep up to date with all of our latest CAL and KALs over on The Knitting Network Facebook page. Like the page here. If you missed out on this CAL, don't worry you can still download the instalments below. We started off the CAL on a chilly morning, with part one- the Italian Square! A great crocheted square using treble stitches. Dawn Susan Bailey made a fabulous start on her Italian Squares. As did Karen Hill, such a detailed stitch! Great job! Part two was Puff Stitch, a very squishy and textured square, perfect for a winter blanket! Jo Duke shared a lovely picture of her Puff stitch squares, all ready to add to the blanket. As the weeks went on and the days became colder and darker... We released part three of the CAL, and this time it was a classic Granny Square! A familiar square to all crocheters, no blanket is complete without it! Ingrid Hottart posted this gorgeous lay out of her Granny Squares! Part four was the last of the crocheted squares, and another great one it was! The Crossed Cluster square! Catherine Houston shared this great picture of her Crossed Cluster squares, they look wonderful, Catherine. 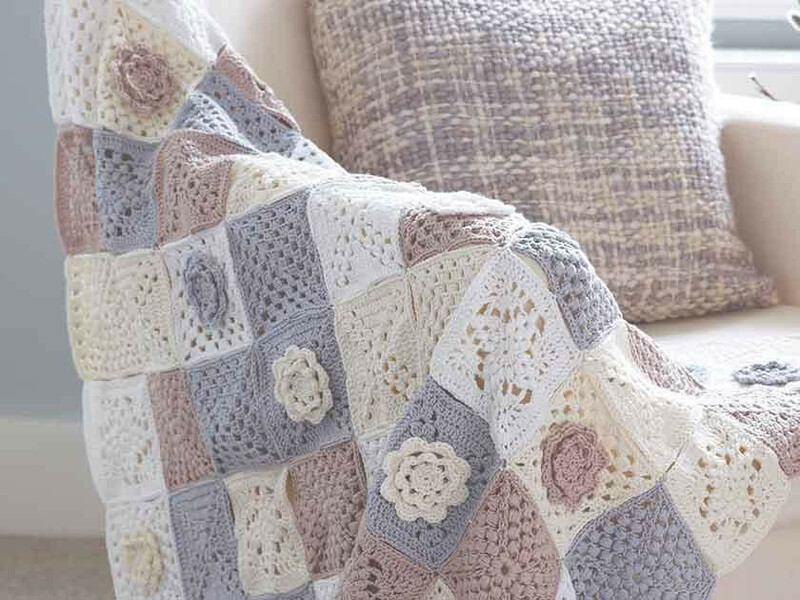 The final instalment was the Rose motif and instructions on how to make up the blanket. It was great to see some of you adding your own personal touches to your blankets! Another fabulous picture shared by Jo Duke of her finished blanket. The added border looks great! Thank you to everyone that took part in the Snow and Ice CAL and for so many of you that shared your progress over on The Knitting Network Facebook page. It is always lovely to see how you are getting on! Don't forget it's not too late to join in with our Christmas KAL - the Nativity! Purchase the exclusive yarn pack containing all the yarn you will need to make the complete Nativity scene here.